Old fields, dry or moist clearings and shores, usually in sandy or gravelly soils; less commonly in open woods. This is our most common species of open habitats. Frequent and variable, especially northward. When robust, the lowermost pinnae pair is usually clearly larger than the rest and, not uncommonly, the lowest pair of segments themselves are pinnate, resulting in a leaf that looks three-parted. MICHIGAN FLORA ONLINE. A. A. Reznicek, E. G. Voss, & B. S. Walters. February 2011. University of Michigan. Web. 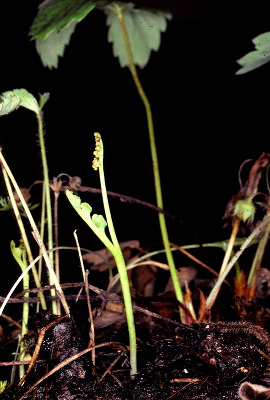 April 19, 2019. https://michiganflora.net/species.aspx?id=1788.